I just uncovered this old print from college in a stack of dried, damaged art from last Fall’s basement flood. I lost a ton of art- all old stuff, but still… This survived. 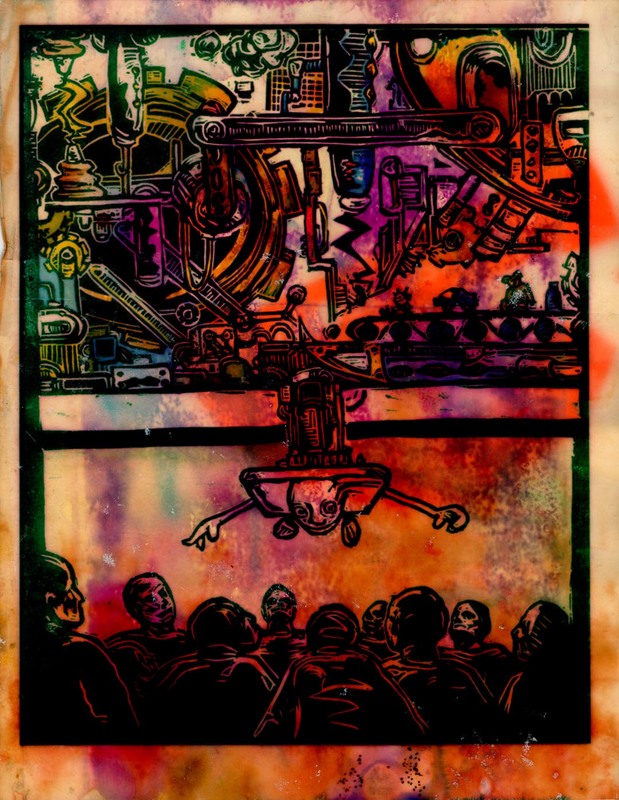 Its originally called ‘the Fascinatrix’ and it’s about our relationship with entertainment. It was colored in with watercolor, marker, etc, but it got kinda awesomely psychedelic thanks to its flood experience. I way, way, prefer this to the original. 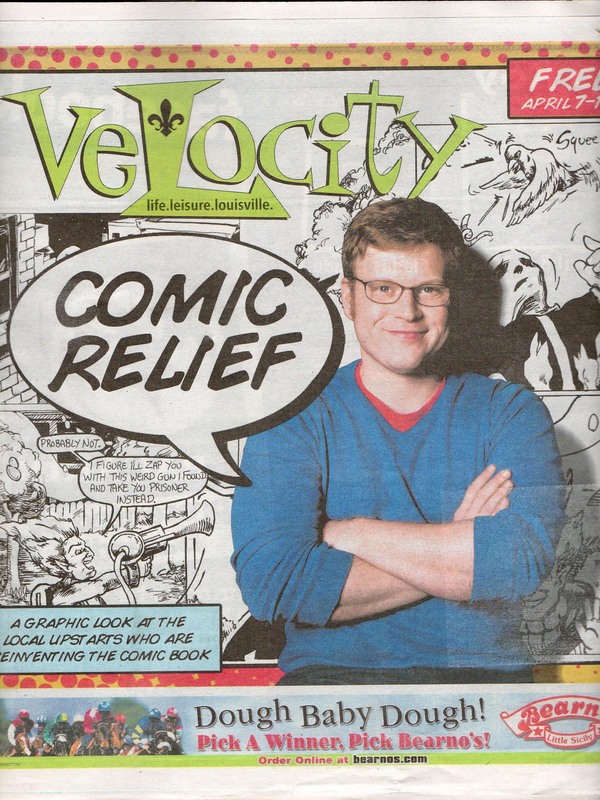 LOUISVILLE CARTOONIST SOCIETY is FRONT PAGE NEWS!! We made the cover of last month’s Velocity! That’s me on the front there. It’s been an exciting and busy month. The Anthology is out all over the city, and the Cartoonist Society is going strong with over 50 members! For the full article, see the pdf below.